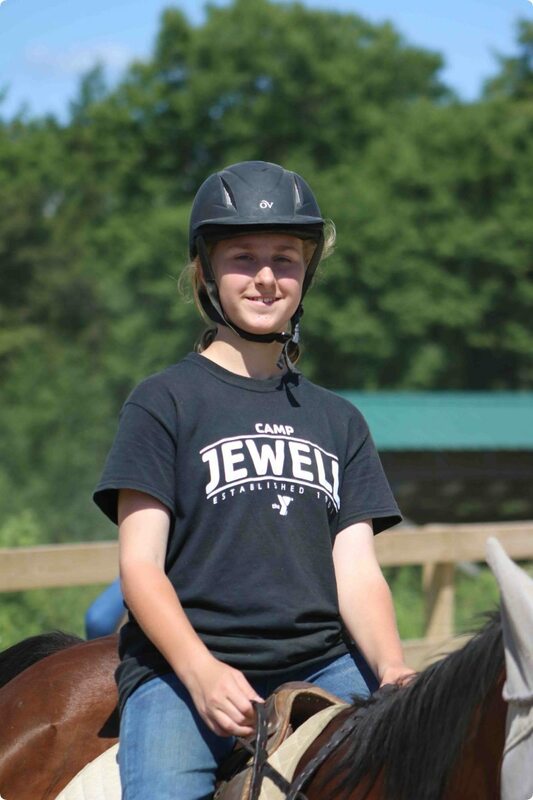 Hide-a-Way Ranch at Camp Jewell YMCA provides a unique setting for our Ranch Campers to enjoy a traditional camp experience with an equestrian focus. 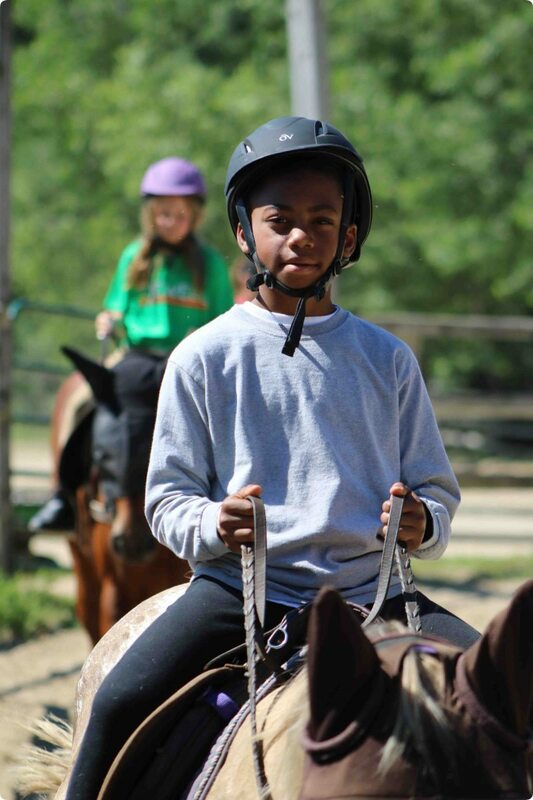 The one thing everyone has in common at Ranch Camp is the love and enjoyment of riding and working with horses. 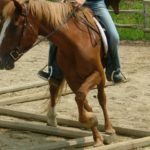 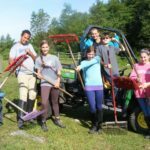 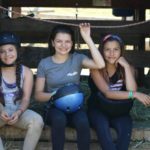 This creates a stronger, more personal relationship between the campers in their cabins, riding groups, and in the overall Ranch Camp program. 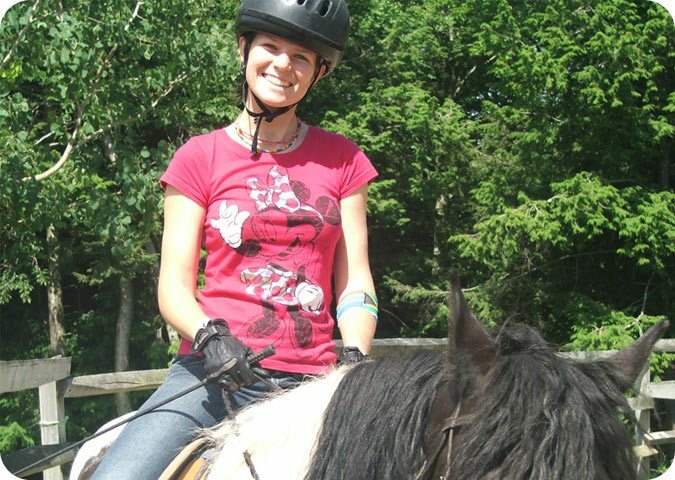 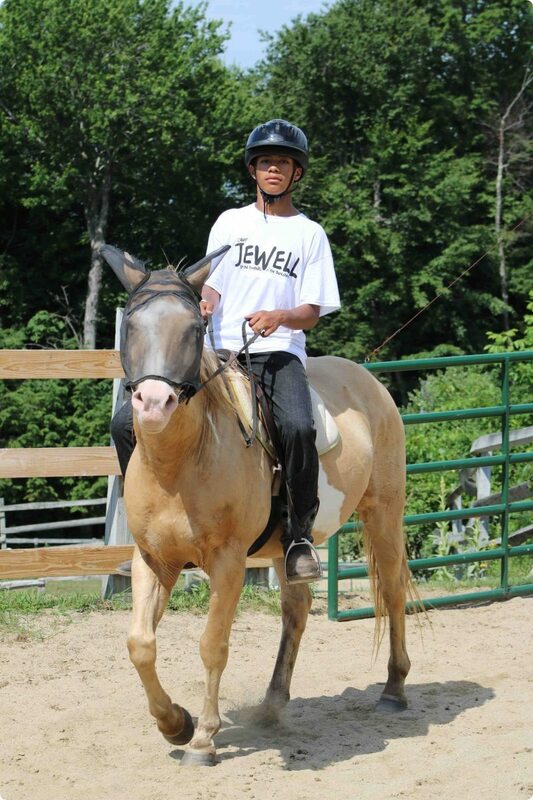 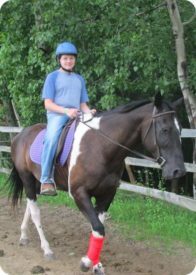 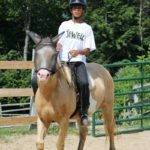 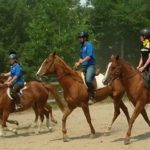 Our 1 to 3 staff to camper ratio coupled with our highly trained riding instructors ensure that riders of all abilities are given the time and attention to improve their riding skills and talents. 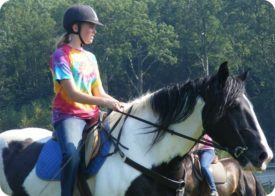 Ranch Camp offers a variety of programs based on each camper’s age. 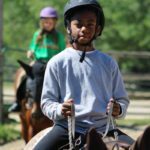 Junior Ranch Camp is offered as a two-week camp experience for our youngest Ranch campers ages 7-9 and is offered in our first and fourth sessions. 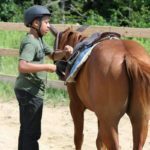 Drivers for ages 10-12 and Top Hands for ages 12-15 are both offered all four sessions. 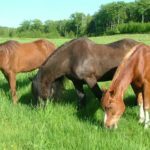 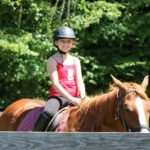 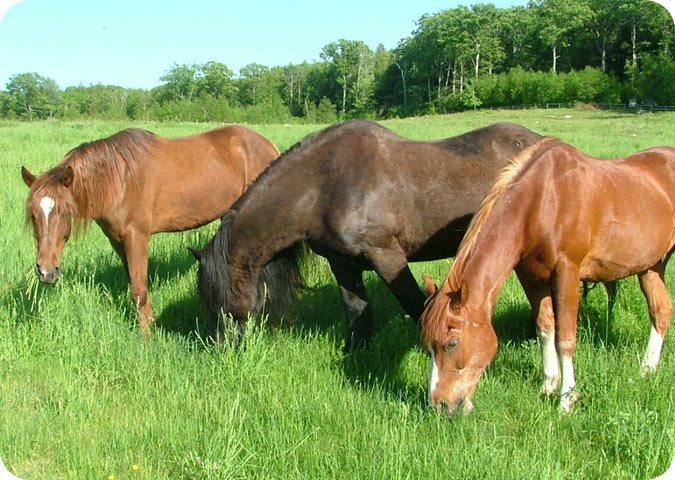 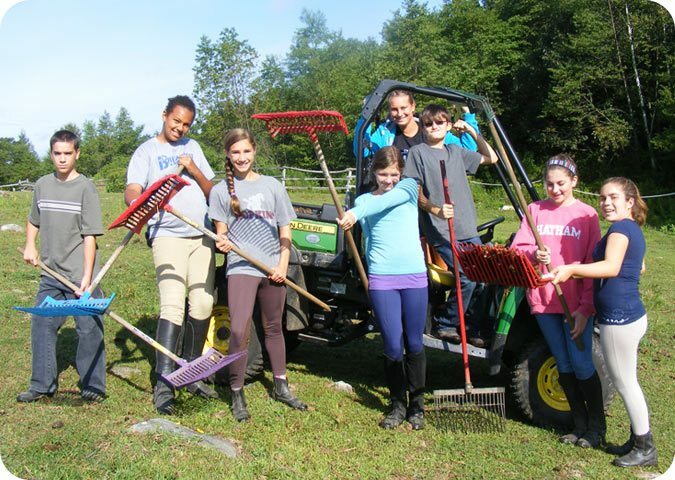 All campers will be able to participate in a variety of horse-related activities such as; trail rides, hayrides, vaulting and off-horse lessons in addition to their daily riding lessons. 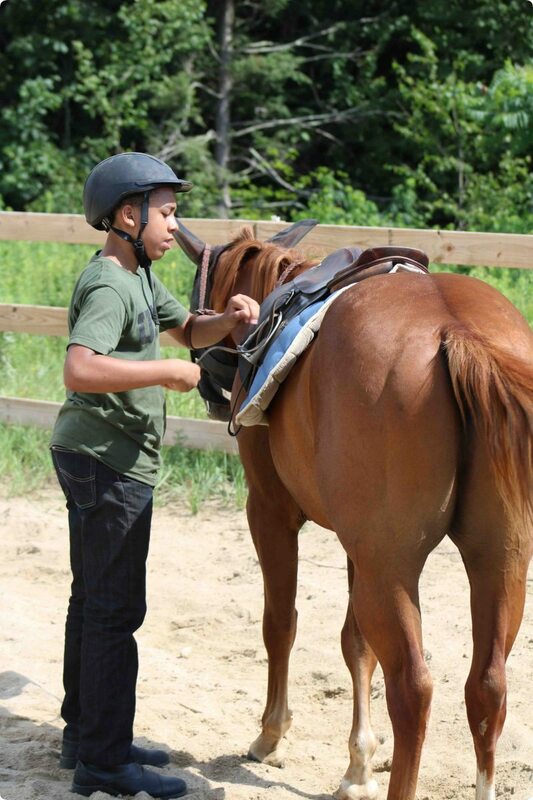 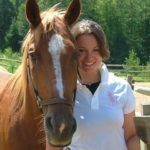 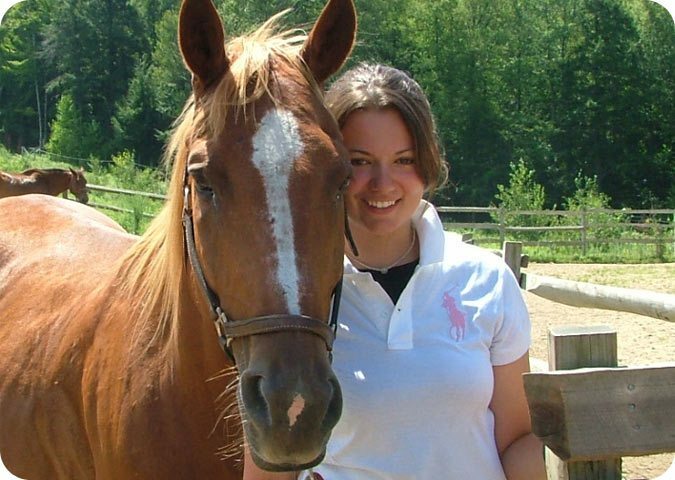 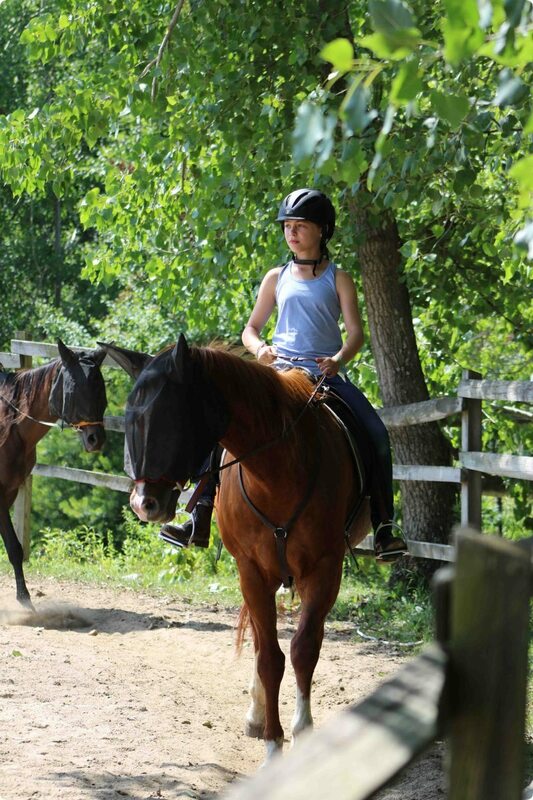 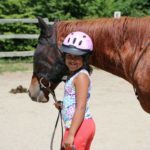 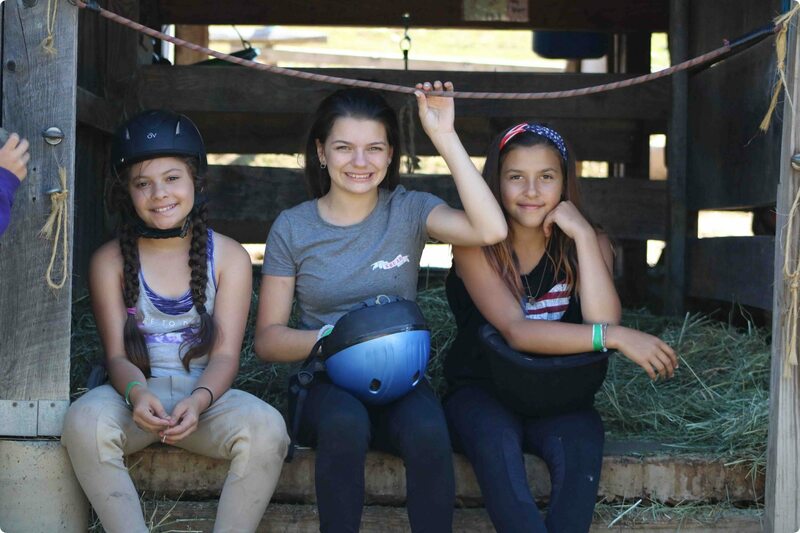 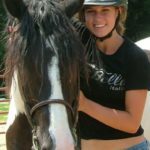 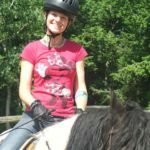 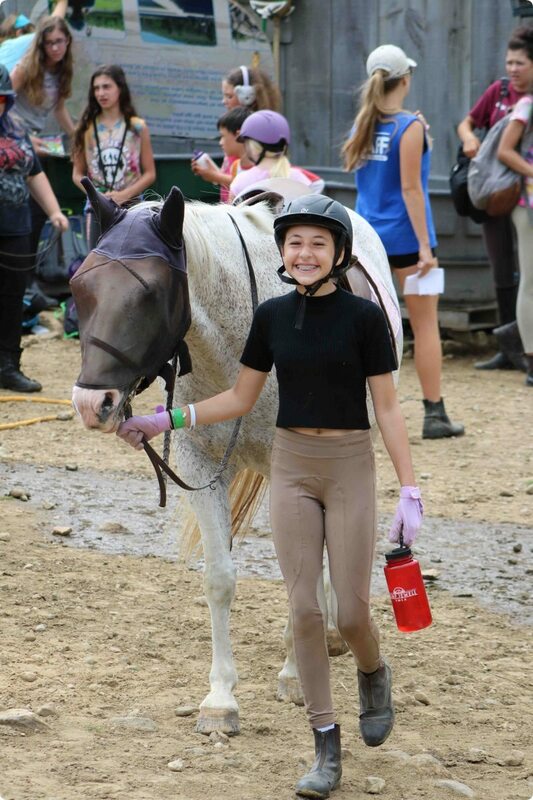 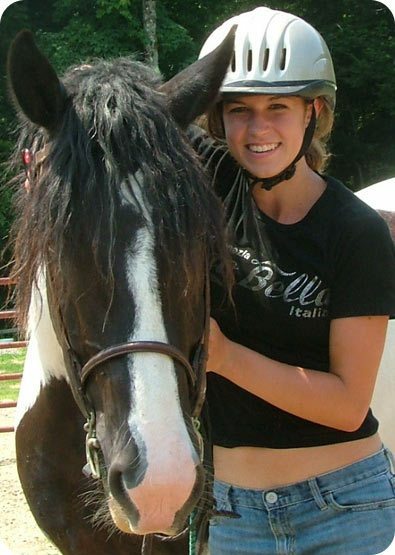 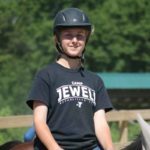 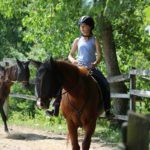 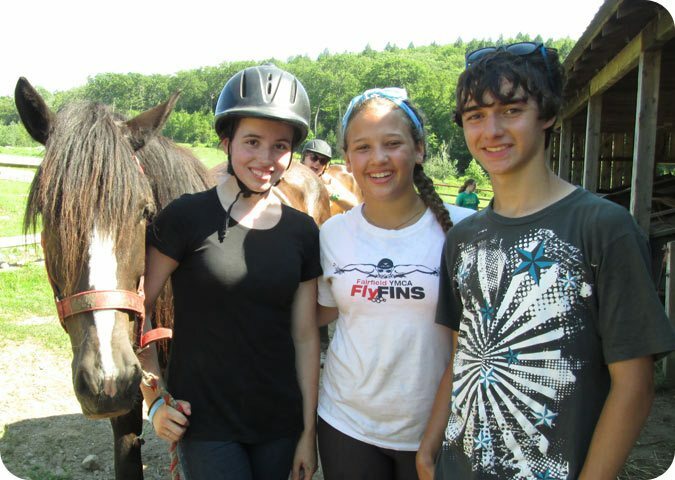 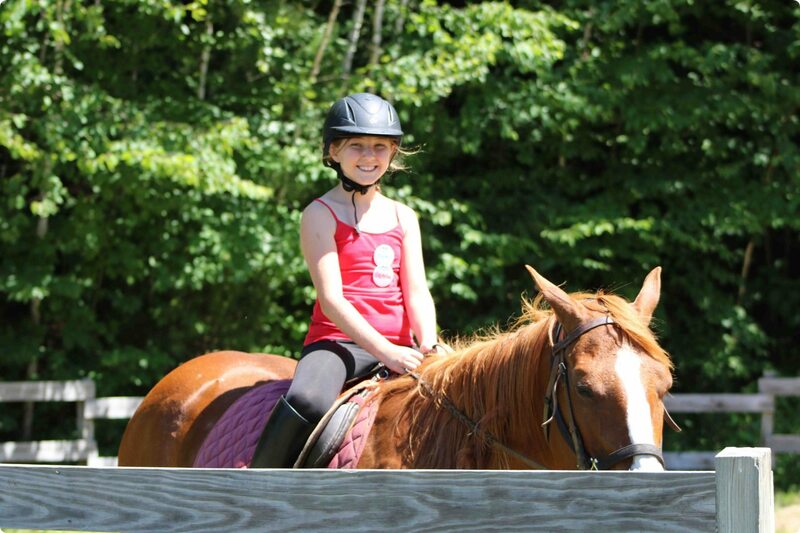 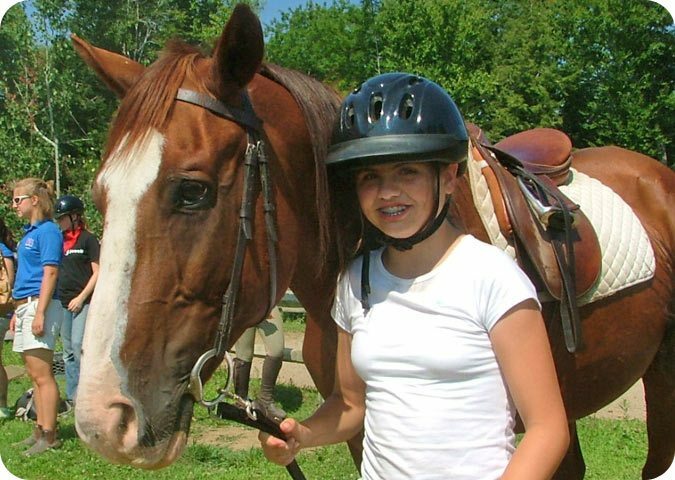 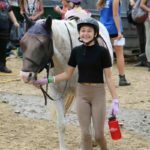 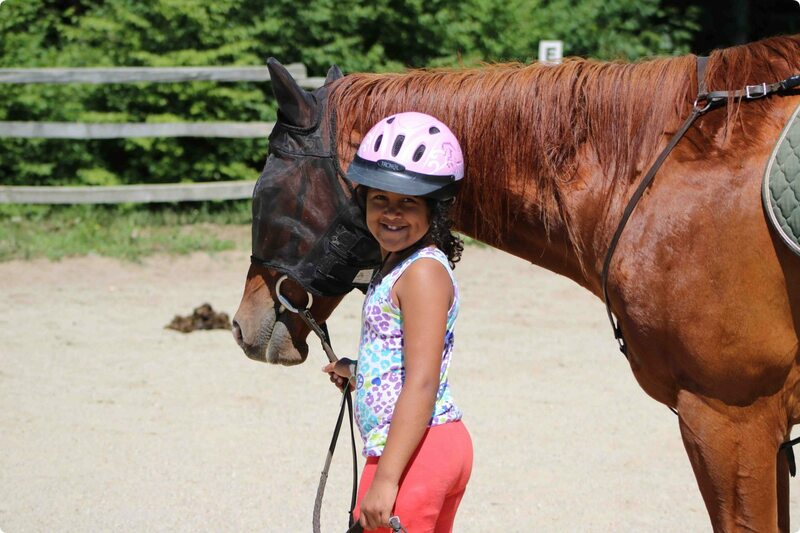 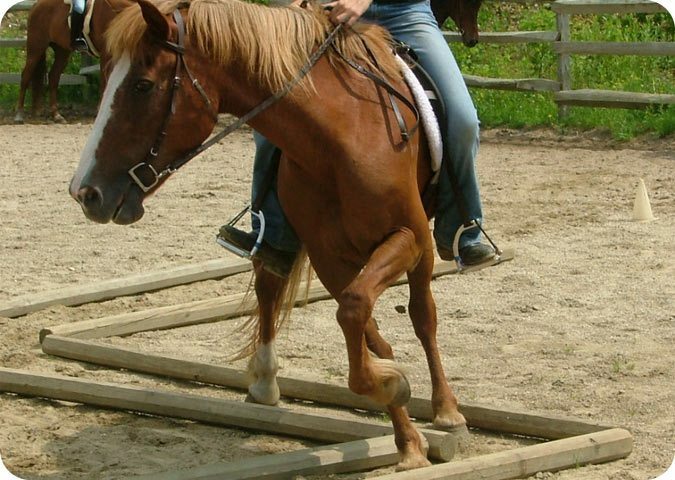 Regardless of riding ability or experience, beginner to advanced, our counselors and riding instructors focus on each individual camper, ensuring a great experience in the riding ring and in camp overall. 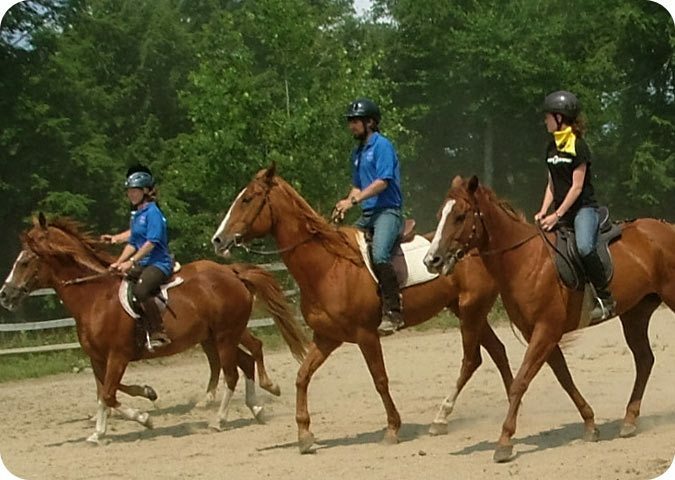 Both the Driver and Top Hand programs are able to participate in the Neckerchief Achievement Awards. 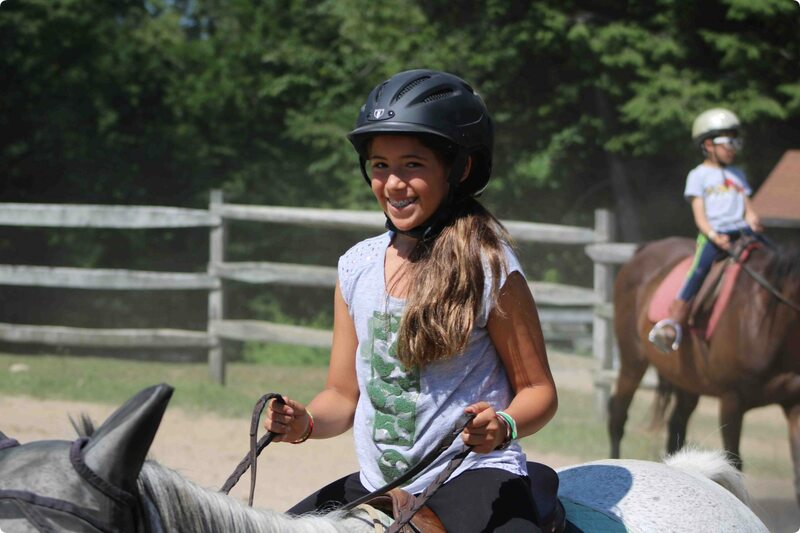 This gives campers the opportunity to set a goal and a purpose for their lessons at camp. 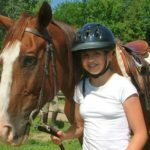 Neckerchief levels are awarded based on the ability to obtain specific riding skills, achieve a certain level of horsemanship knowledge, and be an involved participant in the Ranch community. 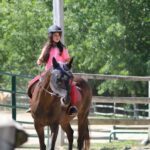 There are 7 different Neckerchief levels campers can work to accomplish (Greenhorn, Colt, Yearling, Mustang, Bronco, Jr. Wrangler, and Wrangler). 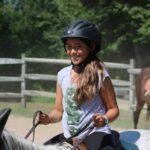 Only a few campers each summer reach the Jr. wrangler and Wrangler Neckerchiefs, making them a huge accomplishment for any camper to reach. 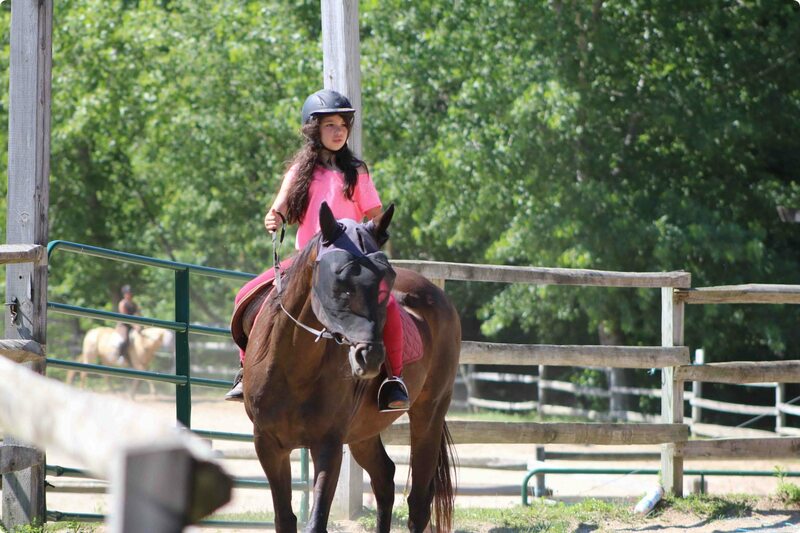 Although Neckerchiefs are not required, it is an honorable and strong tradition at the Ranch. 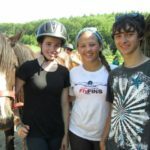 Many other traditional camp activities!